Tenth Sunday B: The Gospel teaches clearly that our spiritual family takes precedence over our natural family. The spiritual life comes before all else. The readings spell out the priority of faith in our lives, the basis of which is openness to God’s Will—because we love God—as revealed to us through our relationship with Jesus Christ. Fidelity to Jesus is paramount and love demands there is no sitting on the fence! Let’s backtrack. With Adam and Eve, every choice, as long as it consisted of being faithful to what God asked of them, was a good choice. In being unfaithful they destroyed the original unity between human beings, God and creation. This sin destroyed their integrity as human beings which is why we suffer such weakness and uncertainty in our decision making. But we also know the Good News that Christ has remedied their disobedience and is our remedy. Unfortunately, knowledge isn’t enough. To make Jesus the priority in our lives must not be just an abstract and intellectual proposition – that is no remedy. True belief requires doing. Fidelity requires being faithful! Let me say that our faith in Jesus should be an affair of the heart. For example, if I were to choose to miss Mass (mortal sin) I should be sorry because I realise that I have let down my divine lover who yearns for my love. Missing Mass is really about infidelity due to a lack of love towards our spouse. This is heart wrenching, but it gets worse. We also cut ourselves off from each other and then the love we have for each other grows cold as well. I suggest to you that our faith-relationship with Jesus is akin to the faith-relationship between spouses. This is a beautiful way of understanding what Christian faith means. The upside is that we know that Jesus will always be faithful. The downside is, through weakness and sin, we will sometimes stray from him (which is the same as being unfaithful to our natural spouses, although the consequences are rupturing our union with God rather than our husband/wife). In practice, sin is having no love for God in the decisions we make. The Gospel also tackles inner division. Division within families is a sign of a division within our hearts. However, in our relationships we are called to a singleness of heart, meaning a yearning for what transcends what I want, and that which makes us one. What unites us as the family of God should be our priority. Having reflected on the Word of God we are now ready to fully consider our priorities. In terms of priorities, are we at peace within ourselves or are our hearts torn between priorities that reflect our own selfishness? 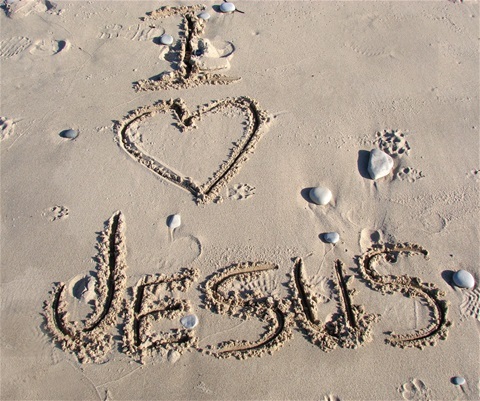 In terms of faith – do you love Jesus enough that your faith is paramount in your life? In terms of God’s Will – do you seek to do God’s Will above all else? Of course, these priorities are interrelated. Just ask yourself, do you love Jesus enough to be faithful to him above all else?